If you are breaking into the hotel sector then you need to know how to run a tight ship and dare to be different. Over the last two years, Chinese investment has driven the Canadian hotel market forward, with sales transactions hitting $4.1 billion, which is 70% more than the previous year. Despite investment slowing down, the sector is still poised for potential. Overall travel growth is expected to double compared to last year, with business travel set to rise 2.5%. This is creating a high demand for accommodation nationwide, with hotel occupancy rates at around 65%. Hotels generate returns of around 3-4%, which, together with the security of operating in a healthy market, has spurred first-time buyers to break into the Canadian hotel market. Entrepreneurs can also tap into the wide range of capital financing options that available for aspiring hoteliers. Over the past four years, Canada’s hotel sector has invested $6 billion in capital expenditures on new hotel developments; with less than $600 million spent on Greater Toronto’s hotel industry; $423 million in Greater Montreal; and $315 million in the Greater Vancouver area. The hotel sector supports approximately 192,000 full-time jobs, at an average salary of $36,000. Your business model will depend on what type of hotel you purchase; will it be conveniently located close to an airport, or nestled in the bustling tourist trap? Will you be offering budget accommodation, or styling a luxury, boutique hotel? Does your hotel have spa facilities and a restaurant? 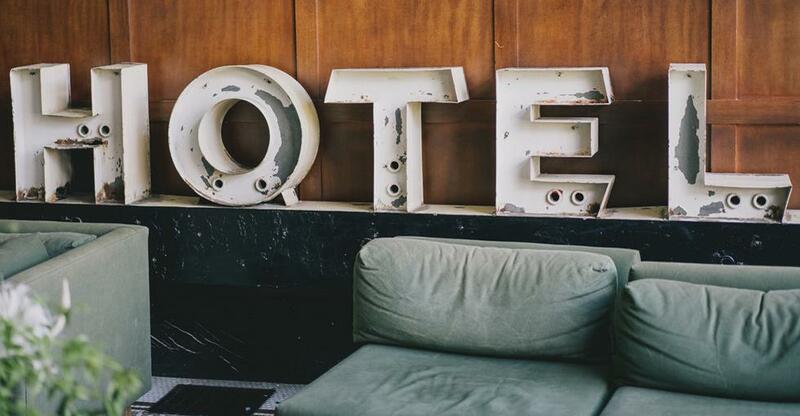 All these factors will determine what model best suits your hotel business, and knowing who your customers are will help you decide how to grow the business and get the best return on your investment. Most entrepreneurs will need to apply for a bank loan in order to buy a hotel. To gain financial backing you must develop a detailed business plan outlining how you intend to keep profits margins high, and what capital you have to invest in the business; this financial plan should give lenders the confidence they need to grant you a loan. Location is a crucial factor in determining the success of your business; buying a hotel in a popular holiday destination or in a place that is well-connected for business travellers is ideal. Find out what services or facilities aren’t being offered by other hotels in the area and plan to offer these to your guests; this will help your business thrive in a competitive market. When buying any business, it’s important to know your competition. Do your research and visit other hotels in the area to see what type of accommodation they offer. In order to gain a competitive edge, you should determine some USPs (unique selling points) for your hotel. How will you make your hotel stand out from the rest? For example, if your guests are mainly families, you may want to offer child-friendly group activities in a communal room. Alternatively, if you cater more to business travellers, have a meeting room that guests can book for conferences and seminars. Friendly, enthusiastic staff are key; despite how plush your hotel’s fixture and furnishings are, a sour-faced receptionist could be detrimental to your hotel’s reputation. Make sure employee welfare is part of your business plan and strive to create a dynamic team. Providing exceptional service is critical to ensure your hotel is a success. When buying a hotel, you should evaluate the current infrastructures, employees and managers. As a new owner, you will want to put your stamp on the business and make changes to how the hotel operates. During this transitional period, employees may feel unsure about their job security. Take time to speak to the staff, especially those that have been working at the hotel for a long time; they could have great suggestions on how to improve the business and services. By introducing yourself and listening to employees’ opinions, you will gain respect and make staff feel valued. It is also important to communicate any changes you are making to the way the hotel is run or the employees code of conduct. Distinguish the staff members who are keen to implement new rules and those who are stuck in their old ways. This will help you determine which employees to keep and who to replace, which will help you to create a dynamic, motivated team. Hotel doormen and receptionists are the first staff members your guests will meet, they are essentially the face of your hotel. It is important that your employees create a welcoming environment and engage with your guests. If you are breaking into the luxury hotel market, you will need to employ specialist hotel experts, such as a concierge or restaurant sommelier. You may want to consider investing heavily on remarketing the hotel to let guests know it is under new ownership. If you are buying a failing business, then you should calculate the cost of rebranding and renovating the hotel’s image. Make sure you have a website that reflects the style of your hotel and be active on social media profiles; engage with potential guests or other tourist-driven businesses in the area. When you’re operating in the hospitality sector, customer reviews are to be expected, and in today’s social-media-driven world there is no hiding from bad service. TripAdvisor is a great platform to advertise your hotel and encourage reviews, which means standards must be kept high. Creating a lasting brand identity is also be a great way to market your business; offer free toiletries with your hotel’s name and logo. You can also keep in touch with previous guests via email; you could send personalised offers or promotions as an incentive for guests to revisit.